Where is this? Second turning to the right, and straight on till morning. This month’s Accretionary Wedge (#46) is hosted by Cat at Knowledge Flocs. The topic is the interplay between geology and civilization. 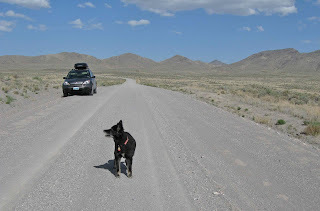 Given that I live in Wyoming, the obvious thing to write about is resource extraction since oil, gas, coal, bentonite etc. are the reasons, direct or indirect, that most of us here are able to make a living. Revenue from resource extraction really is the basis of our economy. But it doesn't interest me. 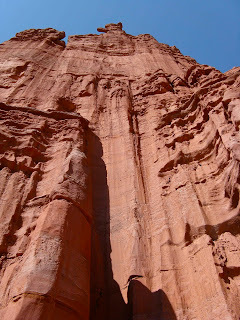 Instead, I’m writing about the role of geology in vacations. ... jump on the wind's back, and then away we go! 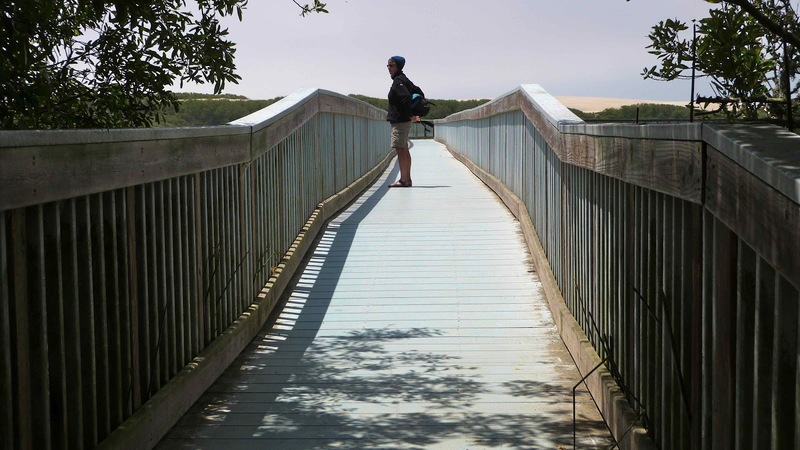 Vacation is a major benefit of modern civilization, as we no longer have to work most of our waking hours. I would argue that it is a necessity as well. Many of us require relatively little time to secure adequate food and shelter; rarely do we have to defend ourselves to survive. Even so, we come up with enough other “needs” to keep us plenty stressed -- satisfying possessions, a comfortable home, the latest styles, achievement for ourselves and our offspring, and self-approval in general. 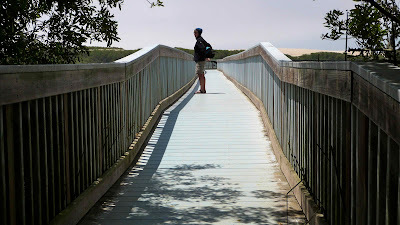 A real vacation, one that removes us for a time from the demanding lives we make for ourselves, is a wonderful thing. How does geology fit in? Geobloggers probably already know, but generally when I explain to friends that I’m planning, leaving for, or returning from a geology vacation, they look puzzled and politely mumble something to the effect of “how interesting.” Little do they know! The scenery along Onion Creek north of Moab, Utah, is spectacular all by itself, but how much more exciting it is with the realization that one is driving through the cap of a collapsed salt dome! Salt that accumulated in shallow ocean basins 300 million years ago was buried under enough sediment to turn it into plastic goo that flowed and pooled underground, uplifting the dome. 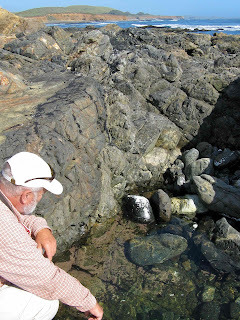 Then ground water reached the salt, dissolved it, and the dome collapsed. 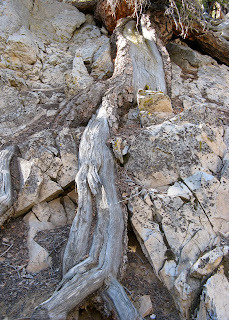 Now the Onion Creek Road passes through bizarre contorted beds of gypsum, shale and limestone, relics of Paleozoic seas. Geo-tripping also is a path to healthy detachment, putting life in perspective in space and time. My little issues pale compared with the scale of looming volcanic destruction on the east side of the Sierra Nevada (California; evidence below). Forget those silly cares, besides, it's such a gorgeous day! 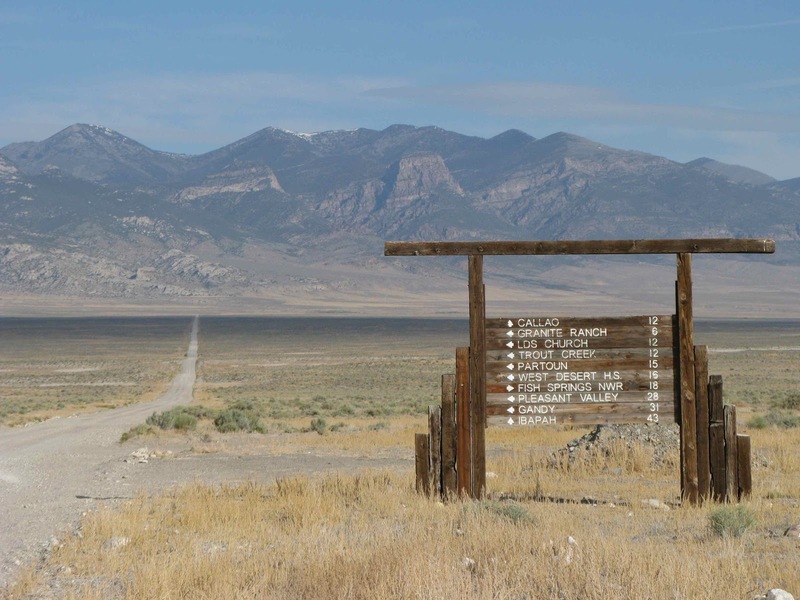 Consider the amazing expanding Great Basin. The extension of western North America, imperceptible to us but which we do understand to be, is driven by movements of immense chunks of crust that bump, push, slide, jerk, grind and stretch as they go. They are much too big and slow for us to comprehend ... and yet we do, through evidence and the power of our minds. This kind of contemplation leads me to a very different state of mind, justifying the time I spend with books, maps and websites, looking at rocks, mountains and basins, and pondering. Nice sign, but mileages will have to be changed in 10 million years or so. The coast of California is even more mind-boggling, and wonderfully so -- diving crustal plates, sliding crustal plates, ocean crust shoved over continental crust, deep mantle material oozing up to the surface ... wow! 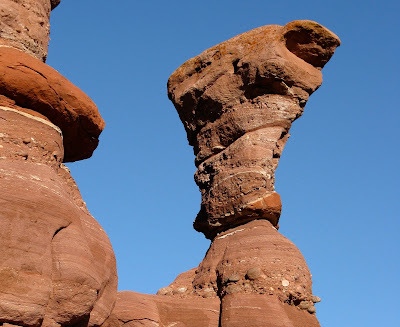 The Earth is so dynamic. How cool to be able to appreciate this, even though I'm too short-lived to see much change myself. 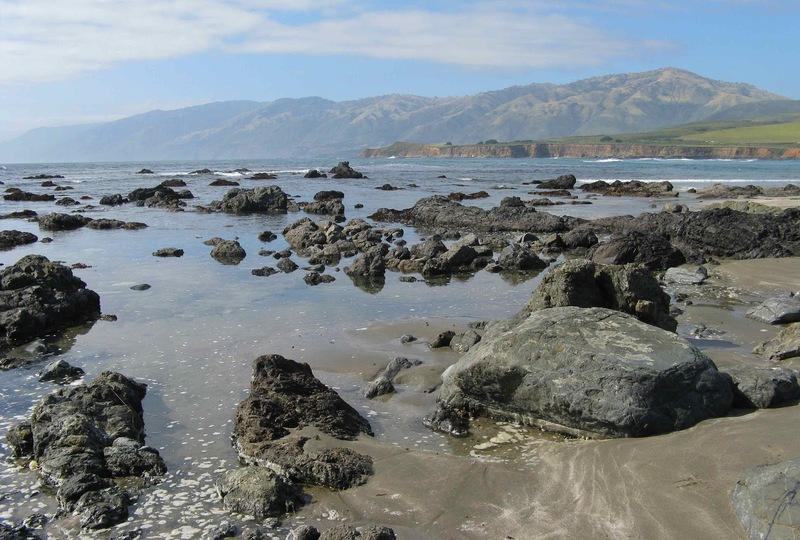 Left: pondering the contorted geologic mess of the Central California Coast, a worthy pastime. But detachment doesn't come quickly. It always takes a week or two for my other world to dim and fade from view. Then once it does, it becomes very difficult to return to it. I don't want to be a man ... I want always to be a little boy and have fun. ever-farther away from the Real World. 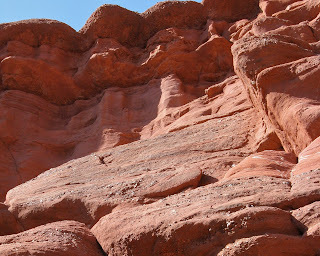 I found this surreal landscape in the middle of nowhere at the end of a rough two-track. 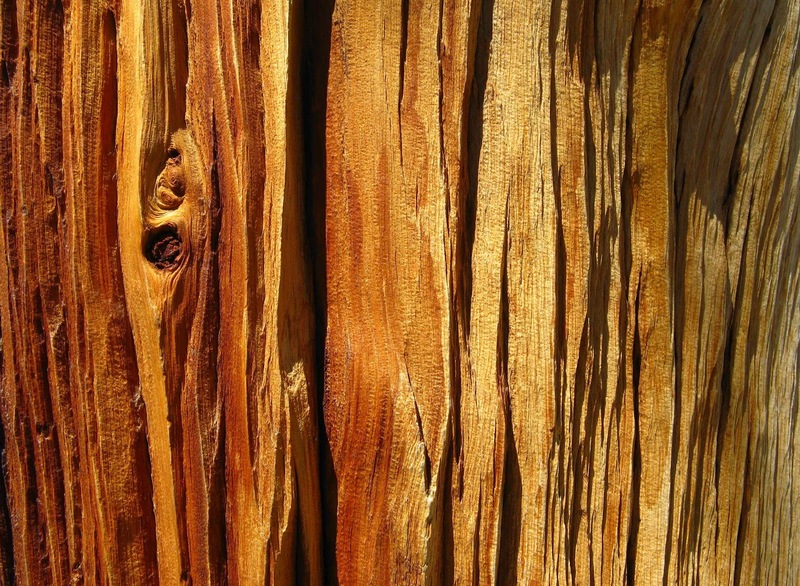 Others had been there before me; there was a well-constructed fire ring and a stash of juniper wood. After putting up my shelter and cooking my food, I rounded up a bit more juniper, built a small fire, and nursed it through the evening to keep away the chill -- as people have done for many thousands of years. So which is the real world? “that extraordinary feeling of being ferociously in love with the world can provide the kind of fulfillment we all seek ... the things we felt in the wilderness are still there deep inside each of us, and can be retrieved on demand, if we only remember to do so." Barrie, James M. 1911. Peter and Wendy (Peter Pan). DeCourten, Frank L. 2003. The Broken Land -- adventures in Great Basin geology. Salt Lake City: University of Utah Press. 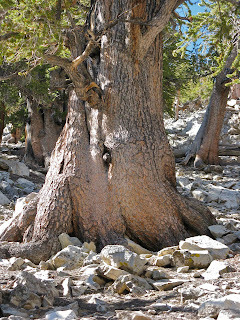 The Great Basin bristlecone pine, Pinus longaeva, is one of three species in subsection Balfourianae, the Foxtail Pines. The others are the Rocky Mountain bristlecone pine, P. aristata, and the foxtail pine, P. balfouriana. 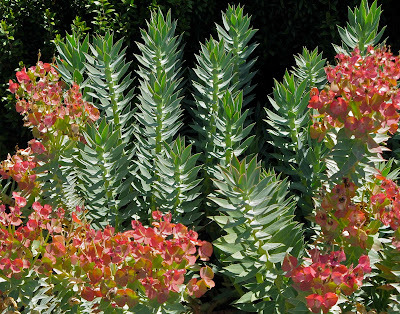 All three grow at high elevations in harsh conditions, and are extremely long-lived. The Great Basin bristlecones are the most ancient -- "Methuselah" is thought to be the eldest, at least 4600 years of age. 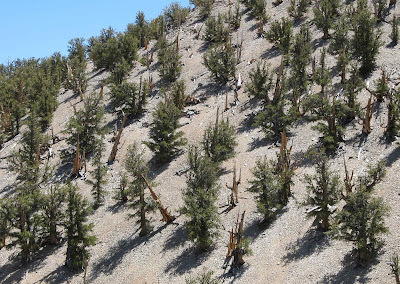 Many of the stunted bristlecones in the photo below are 3000-4000 years old. 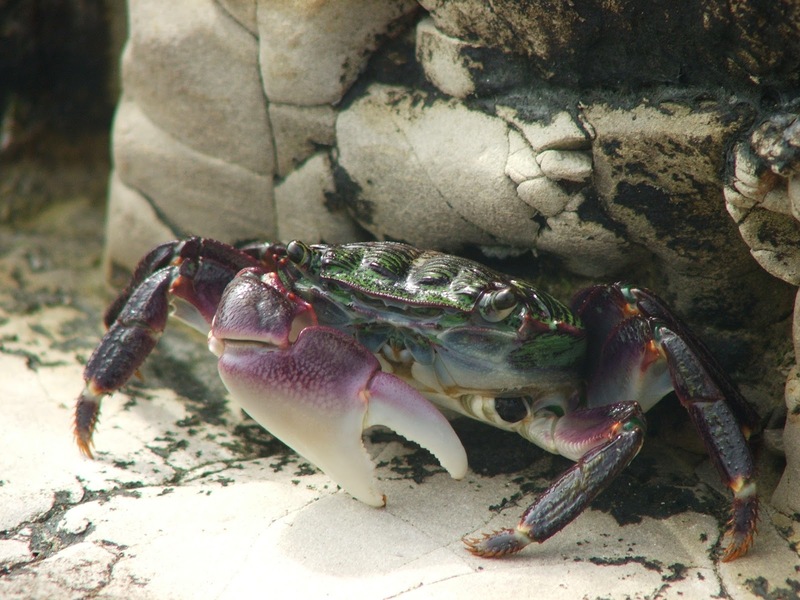 In spite of the habitat similarities of the three species, their ranges do not overlap. 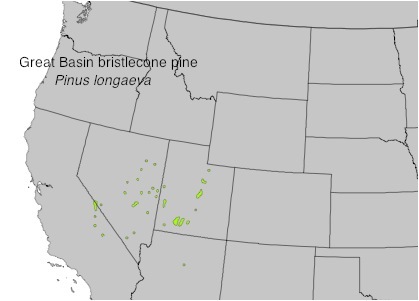 Maps below are modified from Tree Species Range Maps (USGS); accessed May 2012. This website includes both P. longaeva and P. aristata in the distribution map for the latter (corrected below). At one time they were considered a single species, but Bailey (1970) provided convincing evidence for recognition of two species. Current distribution information is from Lanner 2007. The two disjunct clusters of foxtail pine shown above are recognized as separate subspecies: ssp. 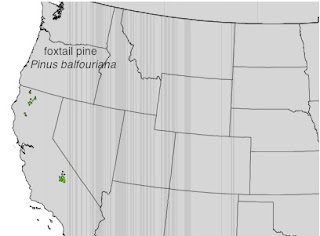 balfouriana in the Klamath Mountains (including a population in extreme southern Oregon not shown), and ssp. austrina in the Sierra Nevada to the south. 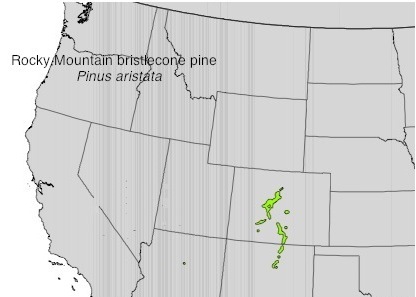 In the White Mountains of eastern California and western Nevada, bristlecone pines grow on thin, nutrient-poor soils that develop from the Reed dolomite. The Reed is massive, white to buff, fine- to coarse-grained dolomite (dolostone) that “weathers to form white, angular to spheroidal, resistant outcrops riven by joints of various attitudes” (Ernst et al. 2003). 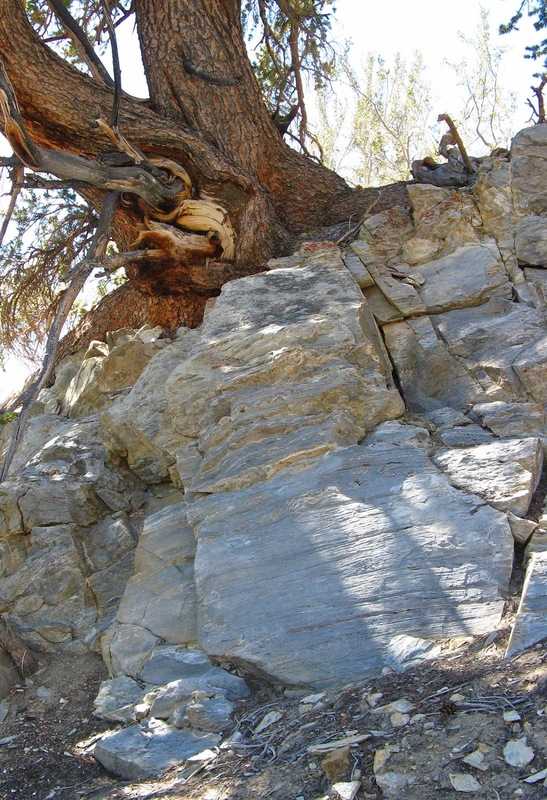 It often is assigned to the Precambrian-Cambrian transition ca 600 to 520 million years ago. Corsetti and Hagadorn (2003) consider it to be late Precambrian based on more precise dating of the PC-C boundary. 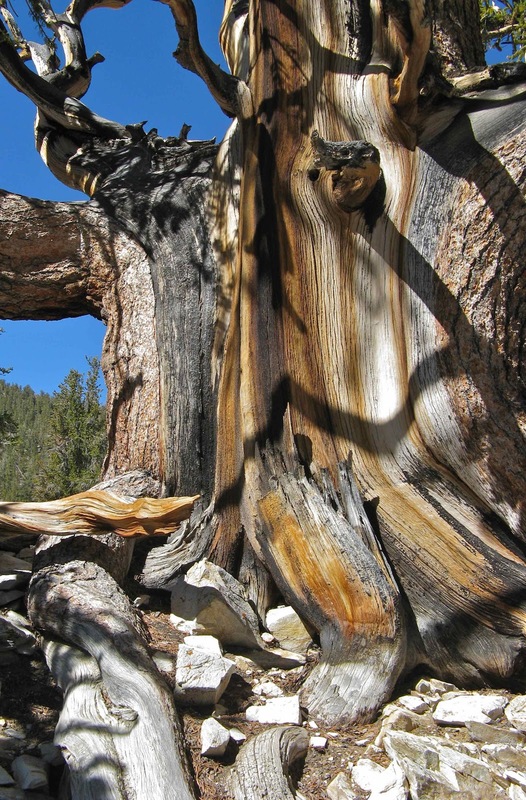 Why is it that such ancient trees are found in such extreme environments? Even more impressive, the oldest bristlecones grow on the harshest sites! 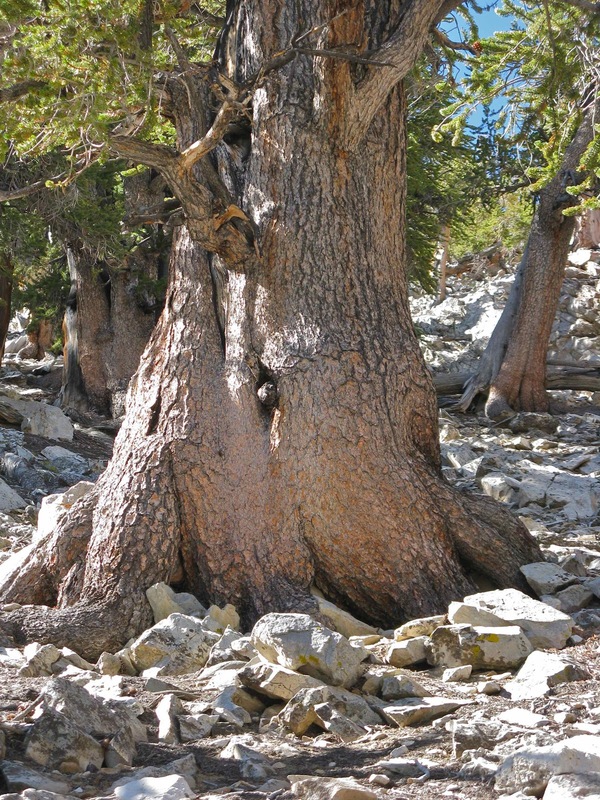 This intriguing situation has puzzled people since the antiquity of the trees was first discovered, and has been the stimulus for a lot of research. 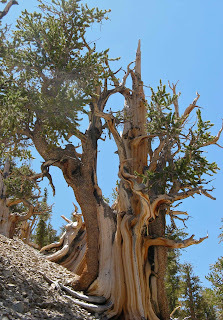 We now know quite a bit about bristlecone pines, though not enough to explain away all the mystery. You can read more of their strange story at but there s life in the old dame yet. Bailey, DK. 1970. 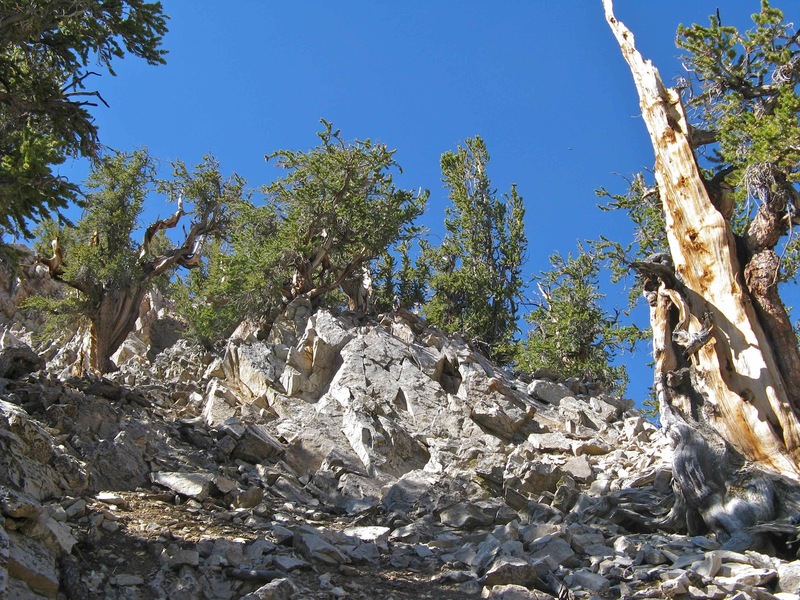 Phytogeography and taxonomy of Pinus subsection Balfourianae. Annals of the Missouri Botanical Garden 57:210-249. Corsetti, FA. 2003. 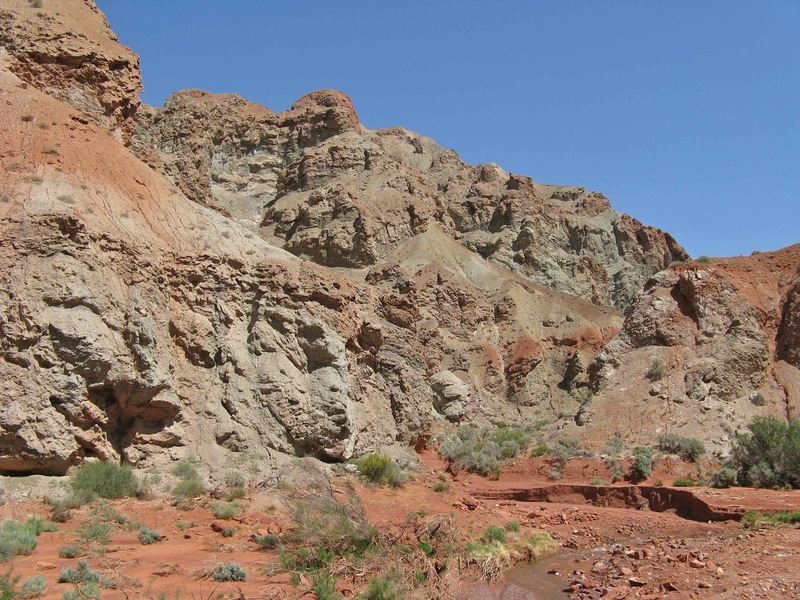 The Precambrian-Cambrian transition in the southern Great Basin, USA. 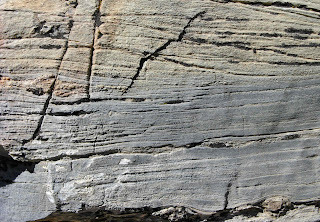 The Sedimentary Record 1:4-8. 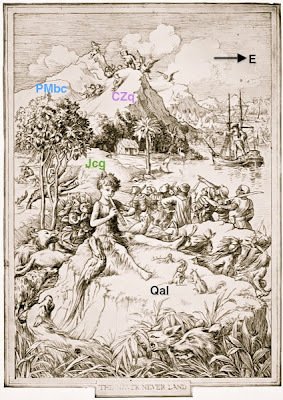 Ernst, WG et al. 2003. 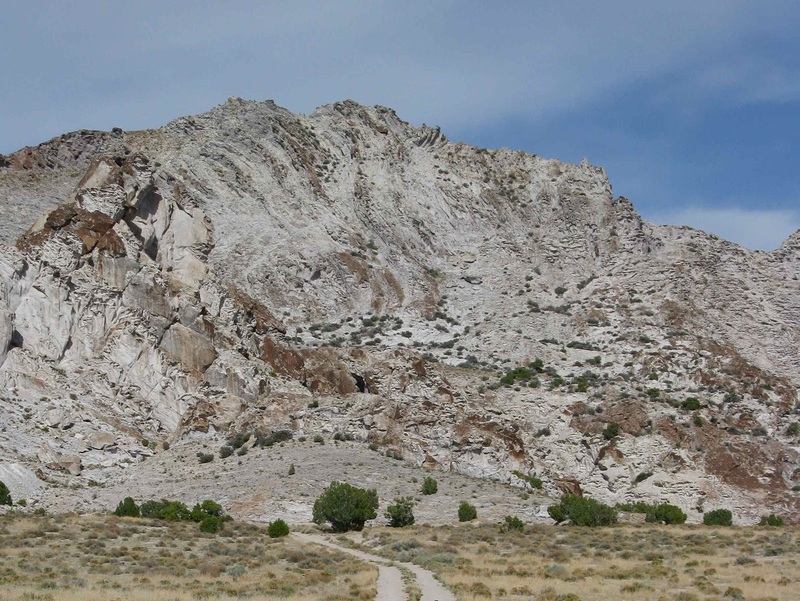 Relationships among vegetation, climatic zonation, soil, and bedrock in the central White-Inyo Range, eastern California. GSA Bull. 115:1583–1597. Lanner, RM. 2007. 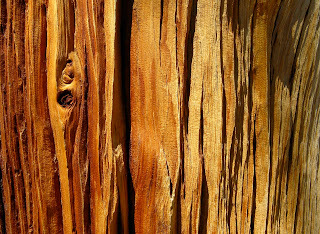 The Bristlecone Book. Missoula MT: Mountain Press Publ. Co. 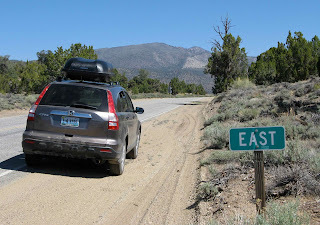 Still on the road and blogging is a hassle ... so here’s a simple quiz. Do you know the plant and rock in the photo above? 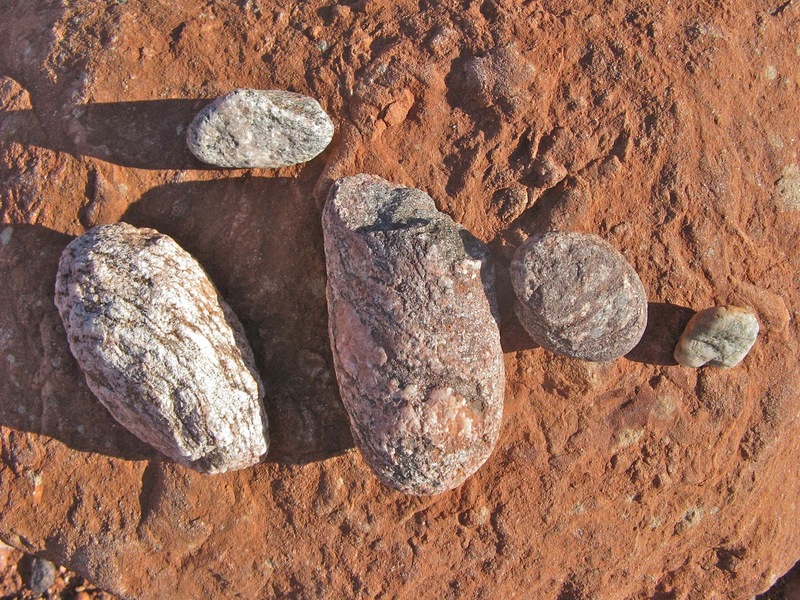 Common name and rock type will suffice; “extra points” for scientific name and formation. Answers will be posted after I’m home in a few days. 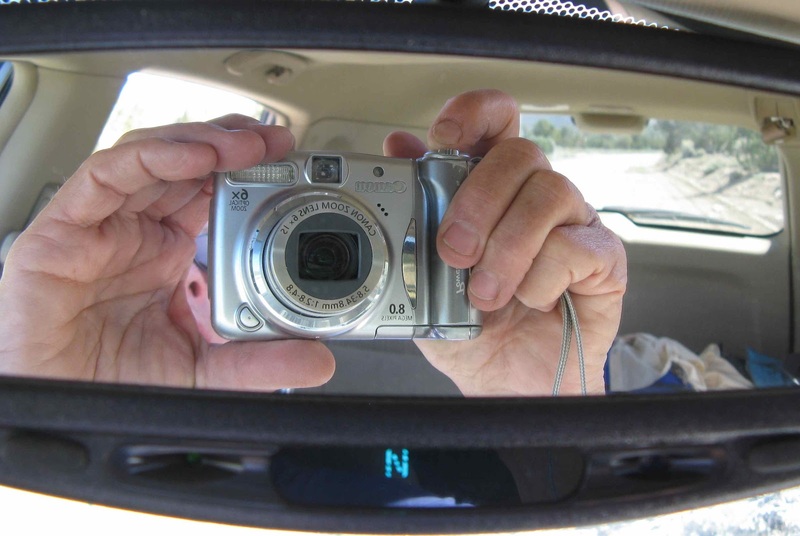 Here are some photographic clues. Have you figured it out? If not, maybe a distance shot will help ... note the growth forms. 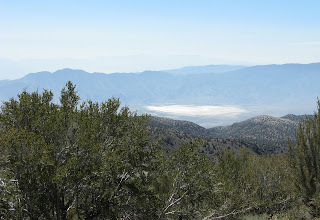 Here’s a hint as to location -- looking roughly east. And another ... back on the state highway, headed for home. But note: the CRV’s compass says we’re really going north. 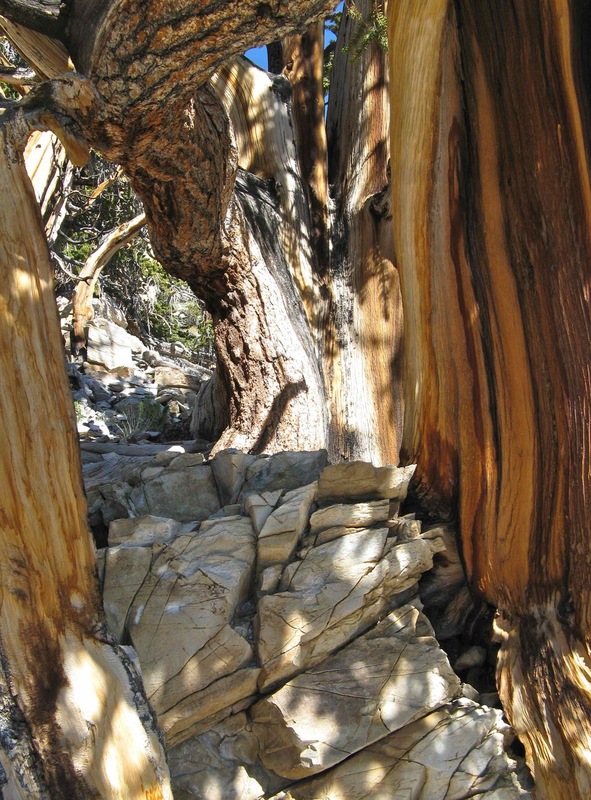 We too are ephemeral ... just like mountains. 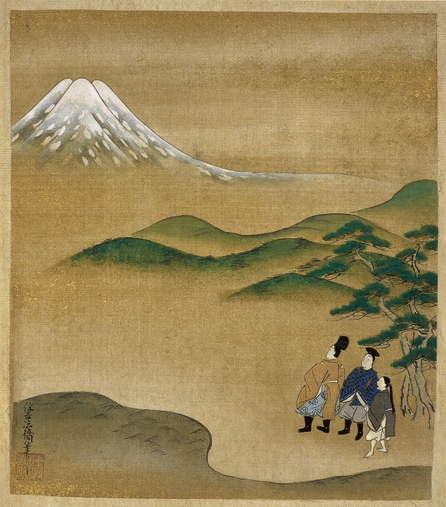 Journey to the East: Mt Fuji; by Sumiyoshi Jokei, ca 1662-1670. 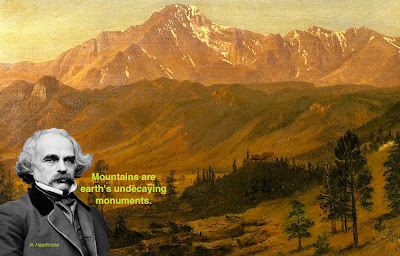 Mountains are massive, abiding and immutable, while we are nothing more than faint echos, fleeting images, tiny bursts of light, insignificant specks of dust. In the 350 years since Sumiyoshi Jokei painted this image of Mount Fuji, ten generations of pilgrims have come and gone while Fuji stands unchanged. 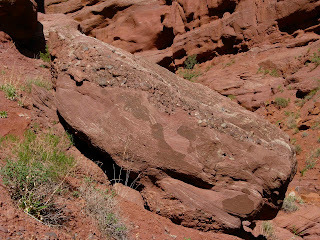 Yet if we look carefully at rocks, if we use them to peer into the past and conjure up the world they came from ... we find that mountains too are ephemeral. 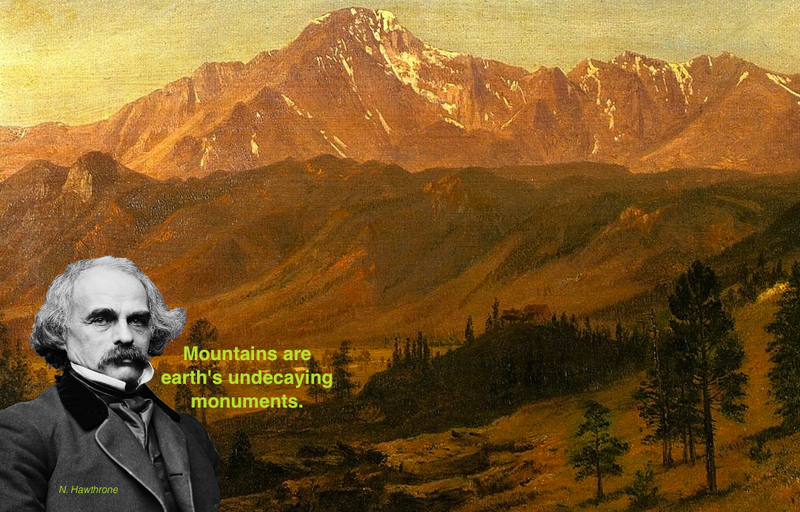 Sorry to disappoint you, Nathaniel, but mountains decay. 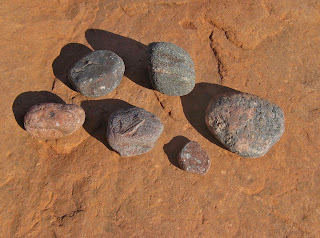 Here are their remains to prove it. On an evening walk a few weeks ago, some cobbles in a desert wash caught my eye. They seemed a bit out of place. 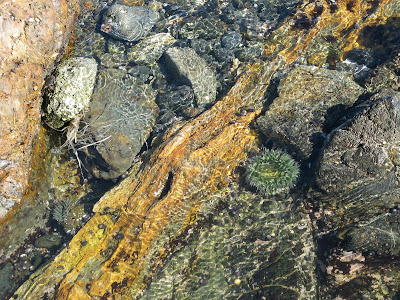 Cobbles are bigger than gravel and sand, 2.5 to 10 inches in diameter, and it takes a fairly energetic stream to move them. 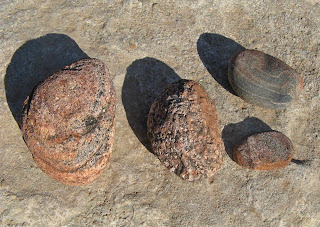 Right: A portrait of igneous and metamorphic cobbles, posing in a landscape of red, orange and purple sandstones, siltstones and shales. These clearly are travelers, but from where? In fact, the cobbles and surrounding sandstones, siltstones and shales all are part of the same rock unit, the Permian Cutler Formation, deposited roughly 300 to 250 Ma (million years ago). 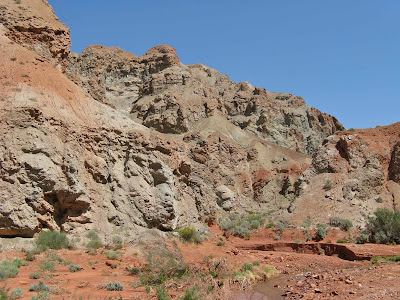 Here in the Fisher Valley north of Moab, Utah, the Cutler consists predominantly of fluvial (stream) deposits -- a mix of silt, sand and cobbles with thin poorly-defined beds at most. 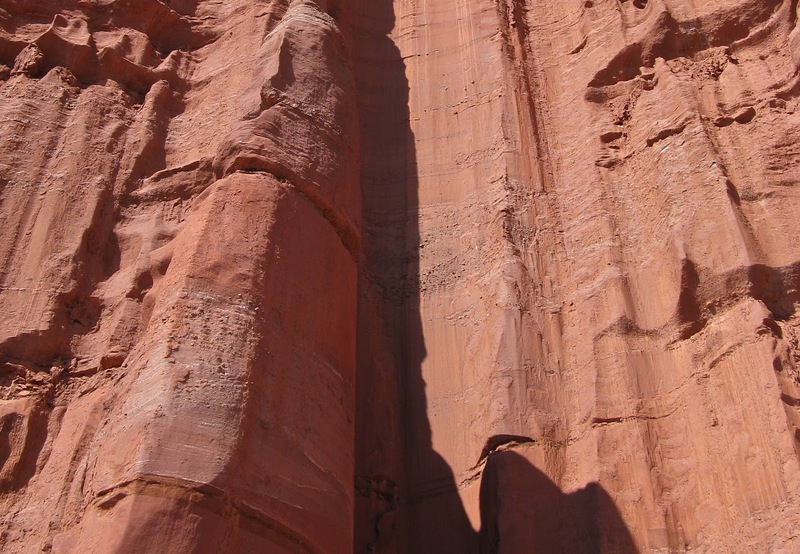 Further west, Cutler deposits have been sorted by particle size into layers sufficiently thick to recognize as separate formations within the “Cutler Group” -- lower Cutler beds, Cedar Mesa Sandstone, Organ Rock Formation and White Rim Sandstone (oldest to youngest). 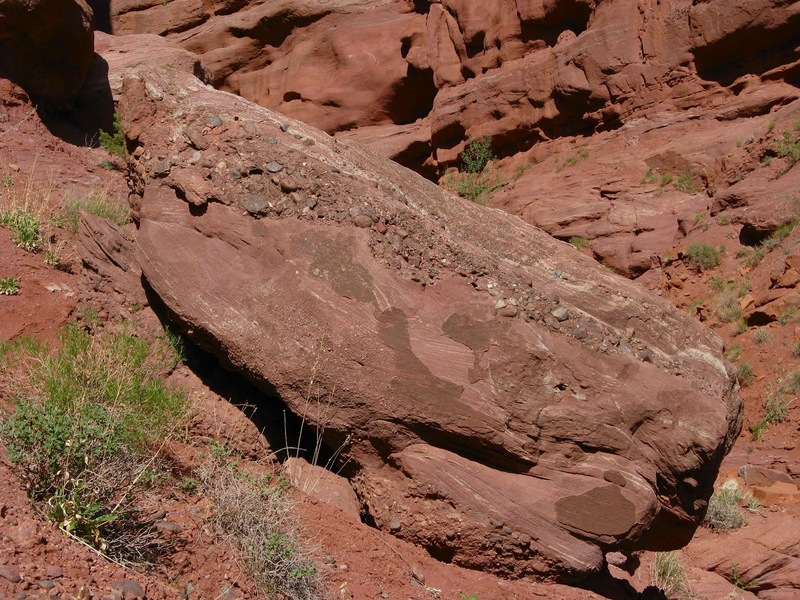 To the east in Colorado, the Cutler Formation is much thicker, with larger and more angular fragments, including boulders as much as 20+ feet in diameter. 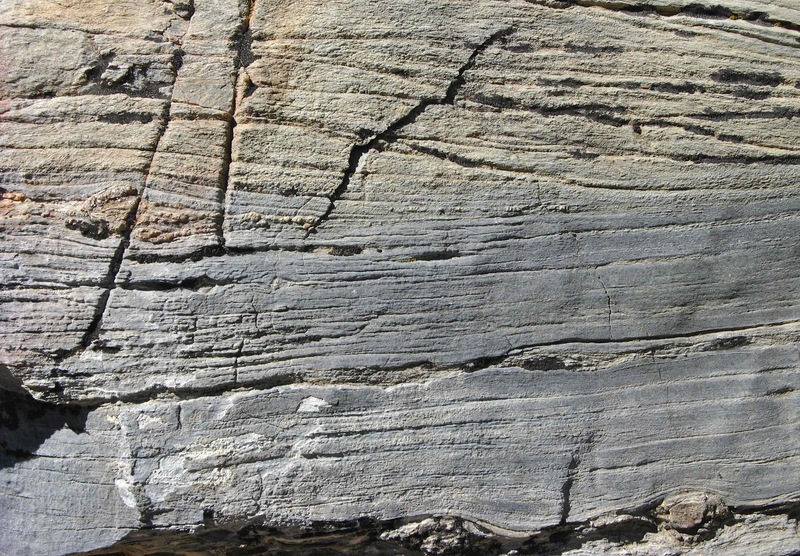 This pattern of decreasing fragment size from east to west convinced early geologists that Cutler sediments must have originated in mountains to the east. 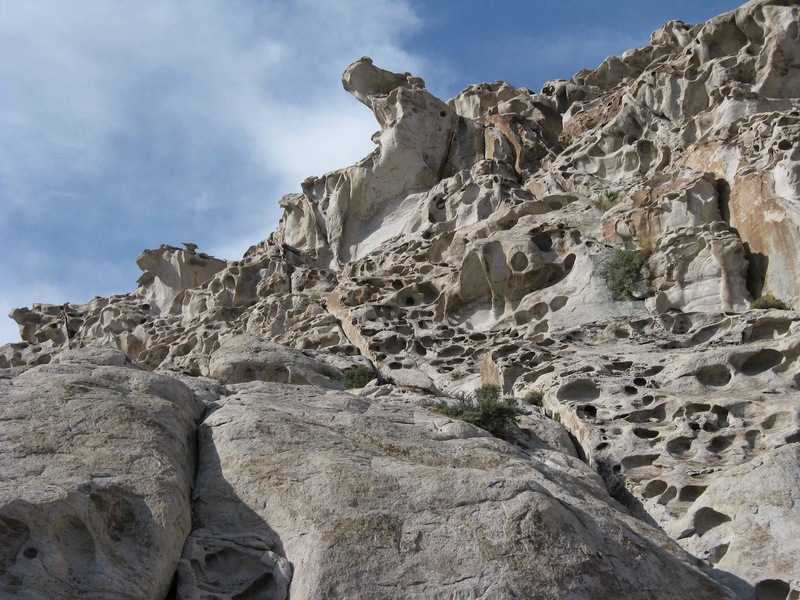 Boulders and angular fragments were carried only a short distance west, by mountain streams with high gradients. Finer particles were transported further, becoming rounded and progressively smaller with all the bumping, tumbling and fracturing en route. Left: boulder-sized clasts in Cutler Formation, Uncompahgre Plateau near Gateway, Colorado (from Soreghan et al. 2009). It should be easy to find the source of the Cutler Formation, as these large boulders could have been transported at most only a few miles from the mountain front. But there are no mountains to the east ... they disappeared long ago. 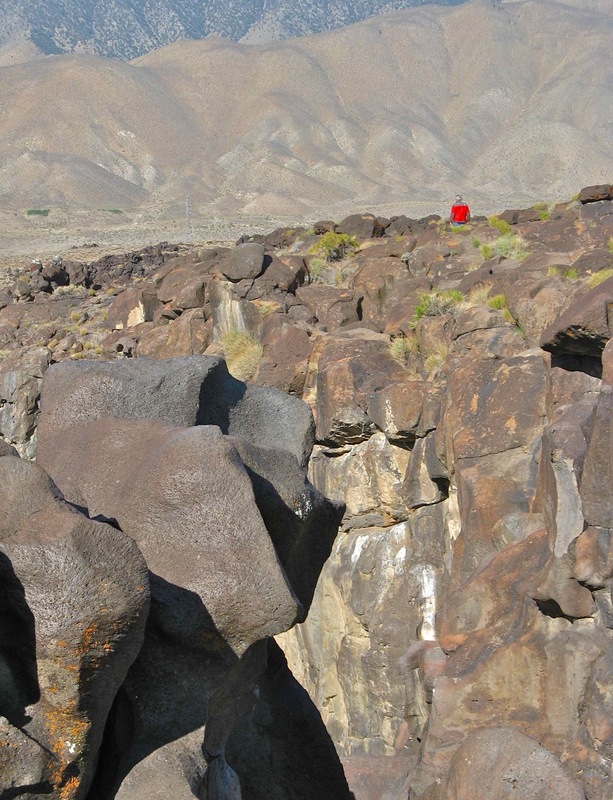 All that remains of the old range are boulders, cobbles, gravel, sand and silt, and a high-angle reverse fault along which it rose. Ancestral Rocky Mountains; click to view. These are the remains of the Uncompahgres, one of the ranges of the Ancestral Rocky Mountains of Paleozoic time. They were uplifted from about 320 to 280 Ma and simultaneously eroded, shedding fragments of rock to be transported, worn down and finally deposited on the arid slopes and plains to the west. Erosion of the Uncompahgre mountains continued for some 80 million years after uplift ceased. 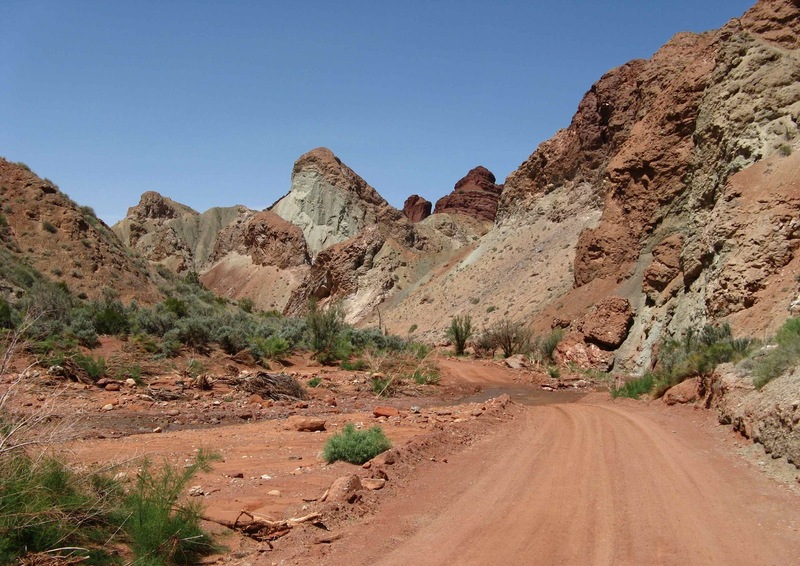 During the late Triassic they were nothing more than low hills. By middle Jurassic time they were gone, their remains underwater and buried in sediments. 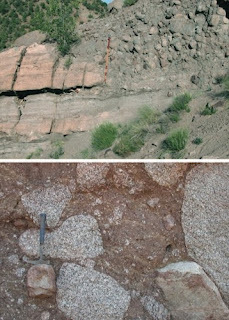 As younger sediments accumulated, Cutler deposits were cemented to make siltstone, sandstone and conglomeritic sandstone. 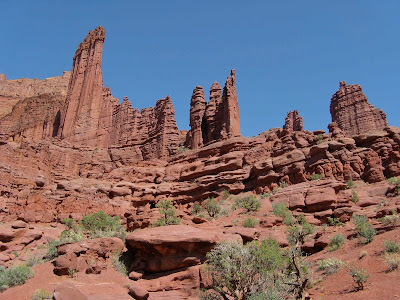 Sometime during the Tertiary, maybe 60 Ma or maybe only 6 Ma (Fillmore 2003), the Colorado Plateau was uplifted and Cutler deposits again were eroded, this time to form the spectacular scenery of the Fisher Valley. 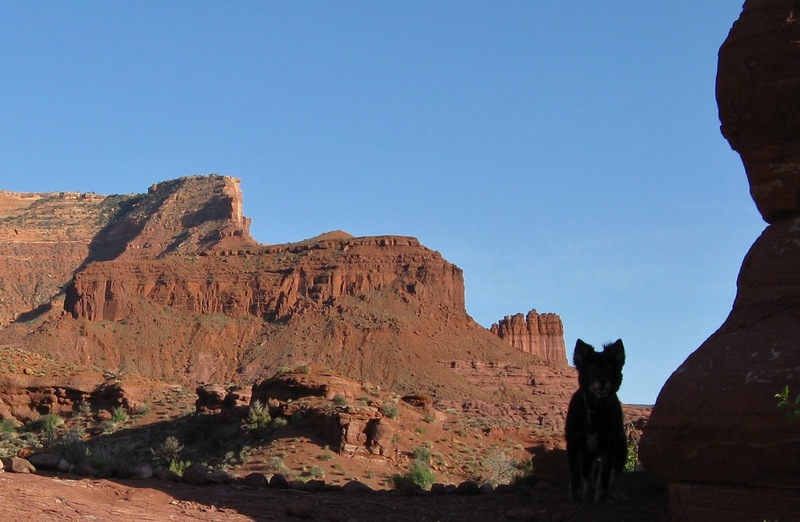 Left: Cutler Formation near Fisher Towers, Utah. In closeup below, note lenses of gravel and cobbles (click to view). 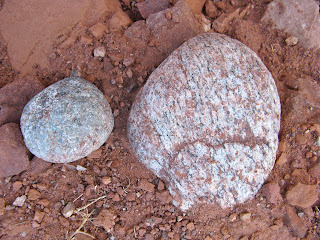 Right: boulder with mix of fluvial deposits. 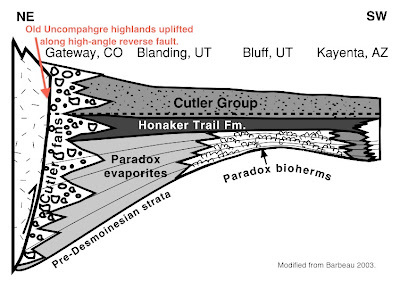 Below: Cutler Formation displaying thin layers of various particle sizes. 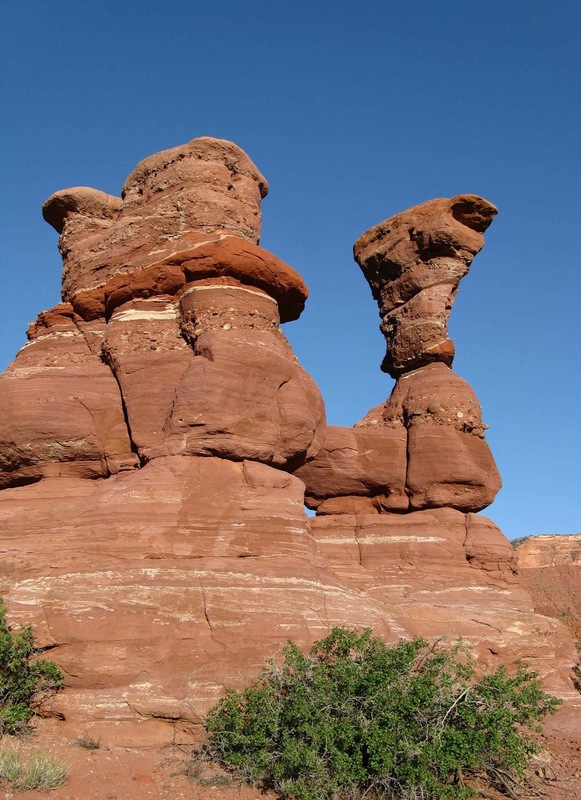 Left: Cutler hoodoos, sculpted from siltstone, sandstone and cobbles; closeup below. 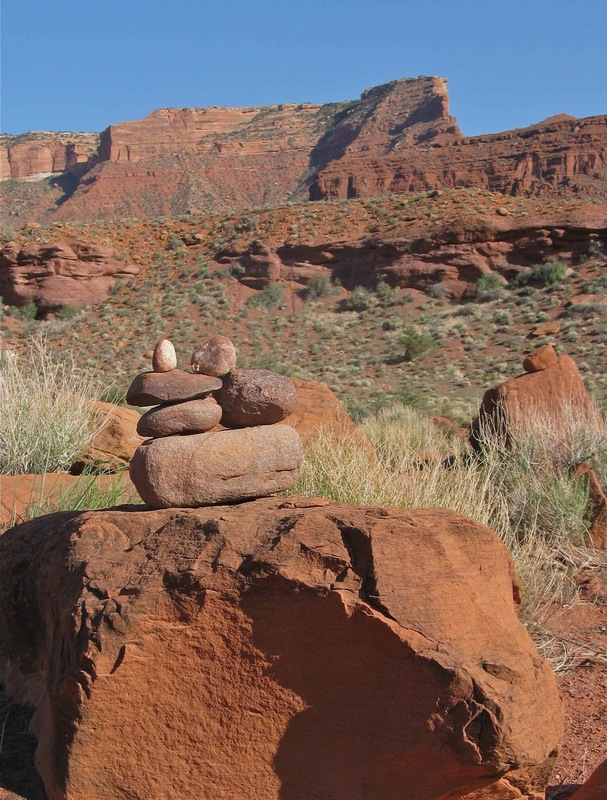 Now, after more than 250 million years of rest, the remains of the old Uncompahgre highlands have been disinterred and are on the move again. 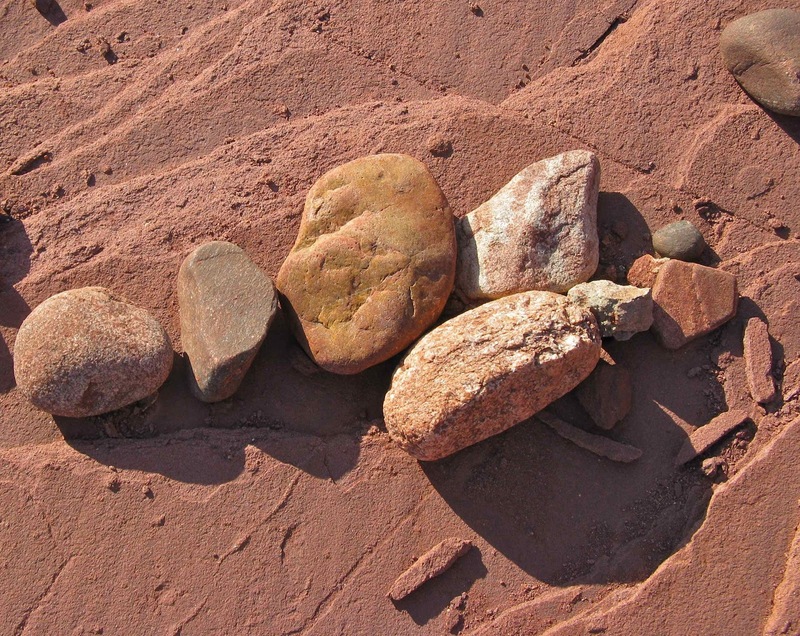 A recent ephemeral stream transported them here; now they lie waiting for the next storm. to what shall I compare them? and vanishing into the empty sky. Sparky listens for echos of mountains past. Barbeau, D.L. 2003. 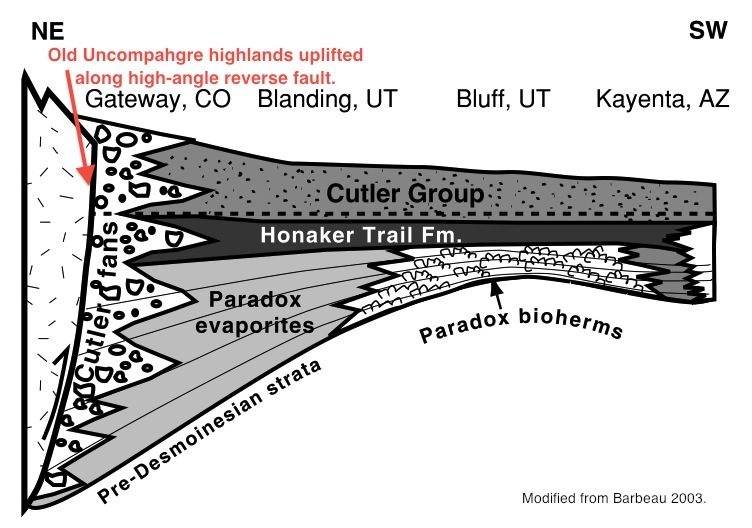 A flexural model for the Paradox Basin: implications for the tectonics of the Ancestral Rocky Mountains. Basin Research 15: 97-115. Doelling, H.H. 2002. Geologic map of the Fisher Towers 7.5′ quadrangle, Grand County, Utah. Utah Geological Survey Map 183. Fillmore, Robert. 2010. Geological evolution of the Colorado Plateau of eastern Utah and western Colorado, including the San Juan River, Natural Bridges, Canyonlands, Arches, and the Book Cliffs. Salt Lake City: University of Utah Press. Soreghan, G.S. et al. 2009. Hot fan or cold outwash? 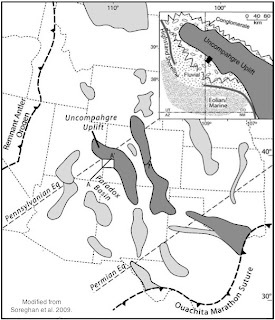 Hypothesized proglacial deposition in the upper Paleozoic Cutler Formation, western tropical Pangea. J. Sed. Res. 79:495-522. Fiddler crab, Montaña de Oro State Park on California's Central Coast. Photo by Ronn Koeppel. In planning this trip, I thought I would have all kinds of time to put together creative entertaining posts. Not the case ... too many fun things to do so I've been goofing off. 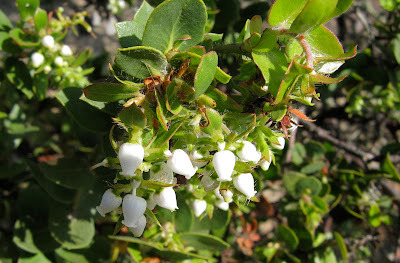 Here are some photos for now; maybe I will get a real a post together tomorrow ... maybe. 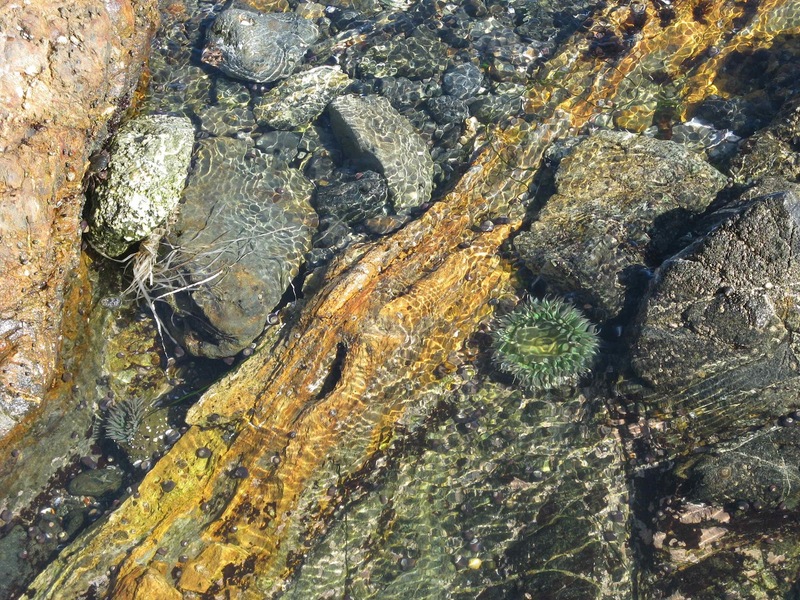 Anemone, snails and Franciscan mélange; near Piedras Blancas on California's Central Coast. 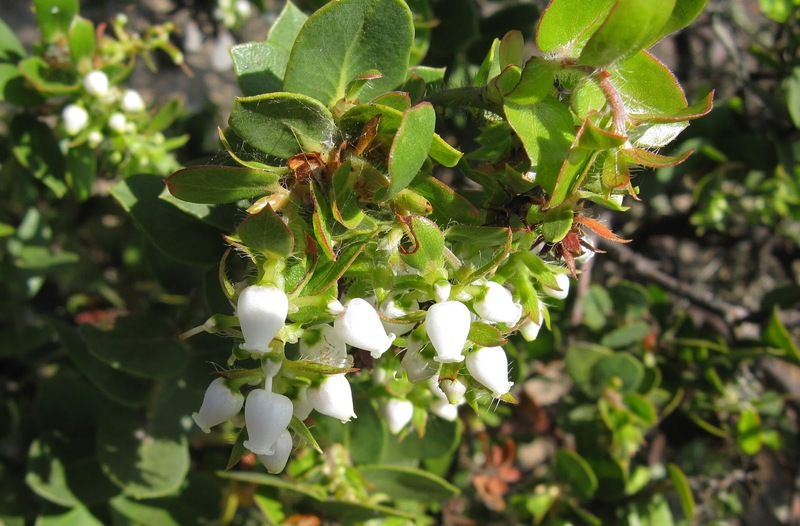 in western Santa Barbara County, California. 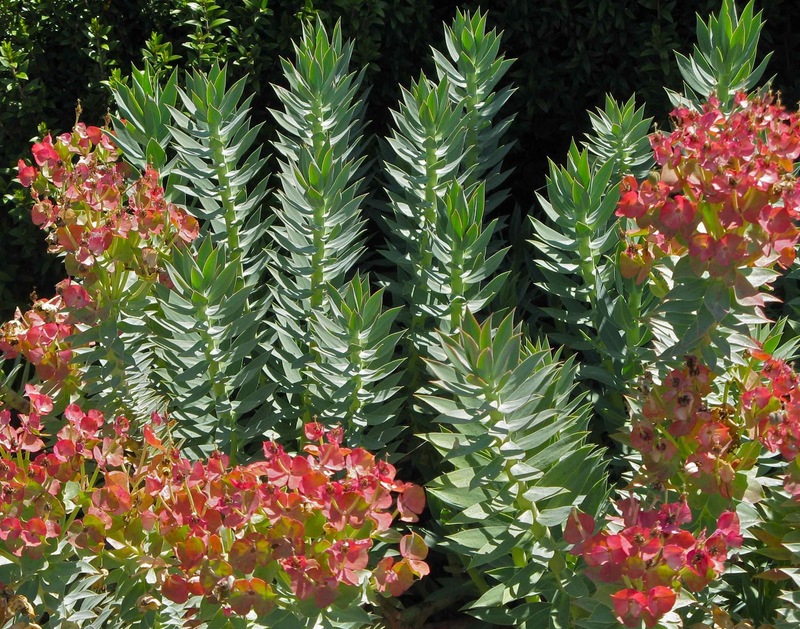 Blue euphorbia, Euphorbia rigida, San Luis Obispo Botanic Gardens, El Chorro Regional Park. 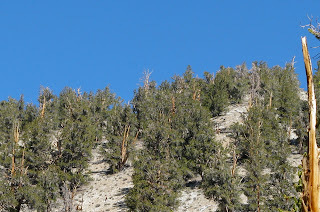 Coming to the Central Coast from early spring in Wyoming, the amazing colors I see every day are close to psychedelic.